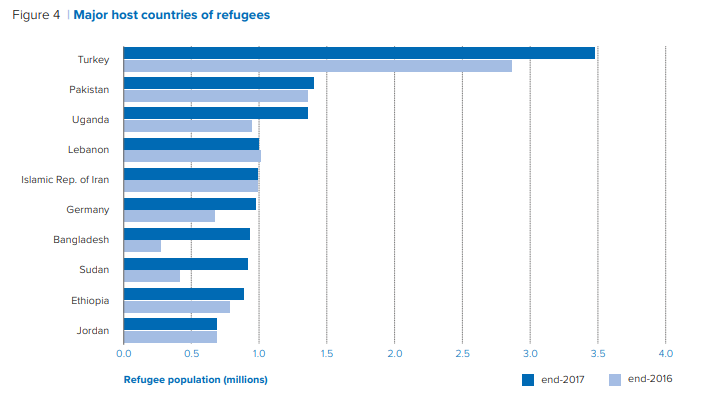 Which continent hosts nearly a third of all global refugees? His remarks come as world leaders grapple with the highest levels of displacement on record, with nearly 70 million people already forced to leave their homes and the situation worsening. The UN Refugee Agency, or UNHCR, calculates that 31 people are newly displaced every minute of the day by conflict or persecution. And while high-profile locations like Calais in France or Italy’s Mediterranean coast may dominate Western news headlines, the numbers are higher elsewhere. 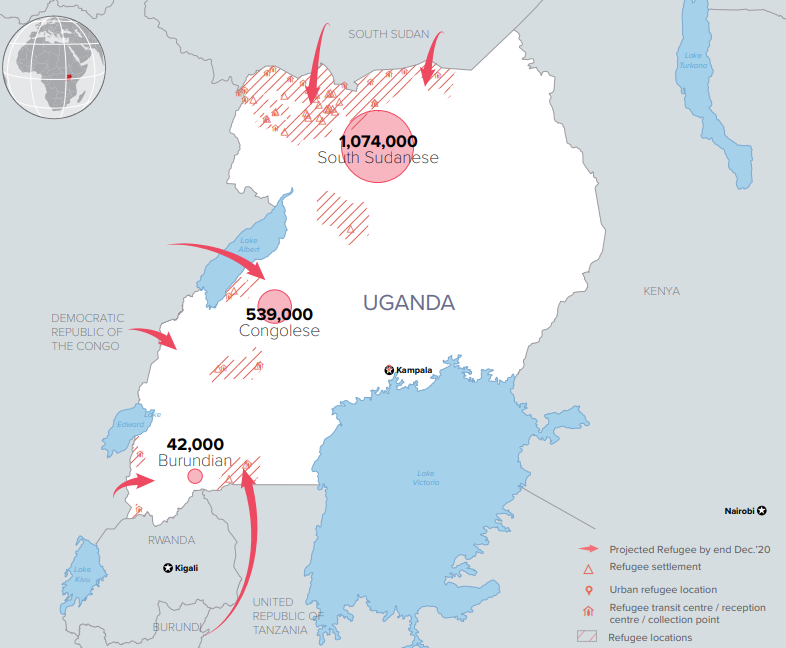 By country, Uganda is the world’s third largest host of refugees, after Turkey and Pakistan. More than one million people fled there in the past two and a half years, driven by wars, violence and persecution. South Sudanese make up most of the population, followed by those from the DRC and Burundi. The refugee population in Sudan has also swelled, with most coming from South Sudan and Eritrea, while Ethiopia has expanded the number of refugees it received by 12% in 2017, again mostly from South Sudan. In his speech, Guterres said Africa “has set the gold standard for solidarity,” and outlined some examples of compassion he has witnessed, including Liberian farmers sharing their seed rice to help feed people fleeing unrest in Côte d’Ivoire. “Unfortunately generosity is not proportional to wealth,” he said. 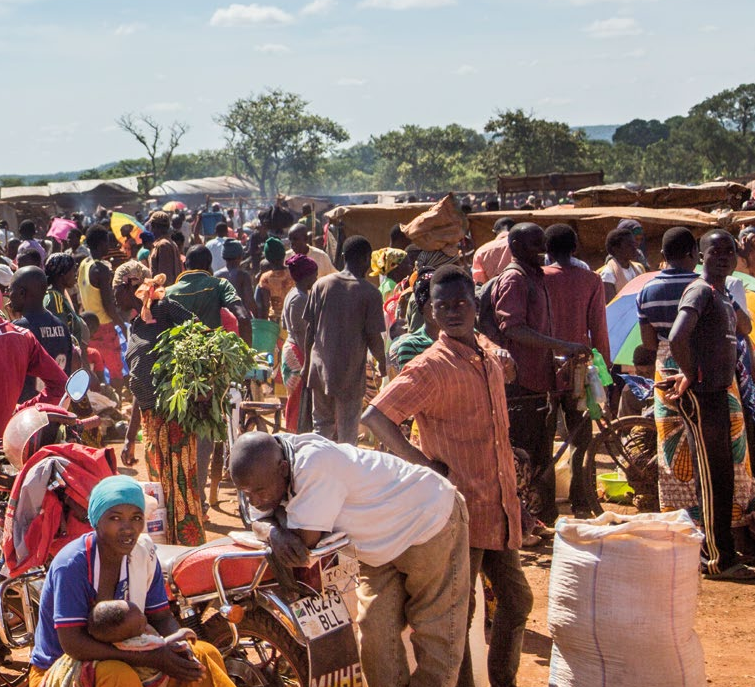 While African nations have become home to large numbers of displaced people, there is variation in the way they are treated at country level. For example, refugees have the same legal rights as citizens in Ghana, and are able to work and own businesses. In other nations, for example Kenya, refugees are restricted and required to live in encampments. As the number grows and aiding refugees dominates the political agenda, one refugee served as Co-Chair at this year's World Economic Forum Annual Meeting in Davos. Mohammed Hassan Mohamud, a Somalian, who lives in the Kakuma refugee camp in North-Western Kenya addressed delegates with a call to action. Mohamud said refugee camps are neither ethical nor sustainable and called on governments to work harder to integrate people and find better solutions.